We are diversifying our groupage services range with lines connecting Sofia (Bulgaria) with Athens (Greece) and Bucharest (Romania). The new lines offer increased flexibility for all our clients: reliable and safe solution for groupage shipments between these destinations, secured by one logistic provider. We operate daily trucks connecting our warehouses in Sofia and Aspropyrgos (next to Athens). Additionally to pallets shipment from terminal to terminal, we can offer warehousing and value added services in our facilities in Sofia (5.800smq) and Aspropyrgos (700sqm) and local distribution to final point of delivery. Our current line between Bulgaria and Greece has been extended till Bucharest, Romania. Terminal to terminal deliveries are available in 24/48h with pick-up and drop-off available if clients require these additional services. The new segment allows clients from Greece and Romania quick access to these two markets. Furthermore, we can organize distribution within Romania via our network of warehouses and logistics platforms (Pitesti, Cluj, Bacau and Arad) and within Greece via our warehouse in Aspropyrgos. Sofia, Bulgaria – Skopje, FYROM – Sofia, Bulgaria. A third regular LTL line connects Sofia to Skopje via weekly departures. Transfers of goods/ pallets from LTL lines coming from Greece and Romania can be handled in our Sofia logistics hub. Terminal to terminal shuttle delivery system. Reliable and safe transport and storage with our own fleet and facilities. 24/48 hours deliveries from terminal to terminal. Defined door to door transit times. 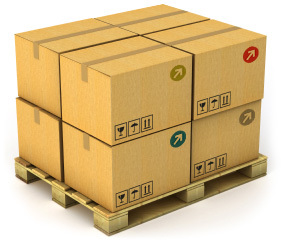 Goods transported and handled in accordance with ISO, HACCP, SQAS standards of quality.